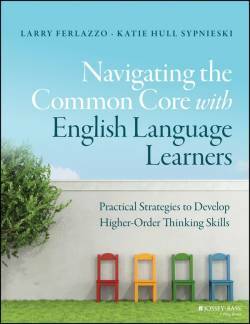 Excerpted from Navigating the Common Core with English Language Learners: Developing Higher-Order Thinking Skills by Larry Ferlazzo and Katie Hull-Sypnieski, published by Jossey-Bass. This section is from the chapter, "Creating the Conditions for English Language Learners to Be Successful in the Common Core Standards." Agency is the ability to be proactive in determining one’s life path and not just react to the surrounding circumstances. Agency also recognizes that outside factors provide some limitations, and that people have some ability to influence and determine one’s response to them. Many of our English language learners face particularly large challenges in these outside factors—socioeconomically and linguistically. In addition, since many came to this country with little voice in the decision to do so, it may be an uphill battle to help them feel as though they do have control over what happens to them in life. Those issues make it even more important for teachers to encourage students to see these challenges not as limits to what they can do but, instead, obstacles that can be overcome. And our success in doing so will have a direct effect on our work in the classroom—multiple studies have found that a student’s sense of agency strongly predicts their success in a language-learning context. Providing encouragement and feedback: This is another action that can support student agency. We are not talking about the “You’re so smart! And such a great writer!” kind of encouragement, however. As Carol Dweck has documented in her work on a growth mindset, which we’ll be discussing at length later in this section, it’s important to provide encouragement that supports the idea that “the harder they work, the smarter they get.” That kind of feedback (“This is a great conclusion to your essay—look what happens when you take the time to revise!”) supports looking at problems as obstacles to be overcome instead of having a fixed mindset, which views your present situation as destiny and does not prepare you well for coping when things don’t go your way. Self-talk is a strategy students can use to encourage themselves. It’s been called a form of "internal remodeling” and is a way to affect how you see yourself. Research shows that when using this tool, it’s better to use the pronoun "you” and/or say your name in the third person (“John, you can do this”) instead of the "I” pronoun, because we have more of a tendency to use “You” for positive messages (“You can do this”) and “I” for negative ones (“Boy, there is no way I can solve this problem”). With ELLs, we find that it is easier just to have them say their names—depending on their language level, explaining that “you” is them talking to themselves can get confusing. A short video of basketball superstar Stephen Curry winning a free-throw shooting contest and telling himself “Control your destiny!” could be a good one to show for demonstrating this point. Teachers, however, should ultimately use their best judgment about their classes—sometimes it might just be easier to have students, especially ELLs, say “I” in their positive self-talk and not worry about “you” or their name in the third person. The Growth Mindset lesson later in this section also includes suggestions for self-talk. Working as a tutor: An ELL could help a family member at home (we included a form in our last book that we have students use to document their reading to a younger sibling or cousin) or an Intermediate ELL could assist a Beginner. 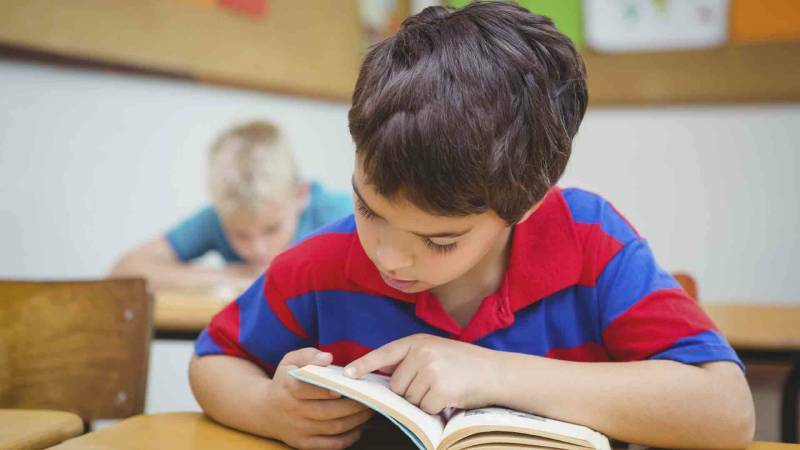 In our combined Beginner and Intermediate class, we periodically prepare Intermediate students to teach a lesson to a Beginner, or just have a Beginner read aloud a simple book to or with them (followed by their writing about why they liked or didn’t like it). Research shows that this kind of interaction benefits both the tutor and the person doing the tutoring. Doing a class community project. Larry wrote in one of his previous books, English Language Learners: Teaching Strategies That Work, about a lesson in critical pedagogy that led to students in his class organizing a job fair at the school for students and their families with different job-training providers. Another year, when there was public concern about the disease known as SARS, his students developed flyers in English and their home language that provided clear and accurate information about it and distributed them to neighbors. Students teaching others develops agency in similar ways to tutoring. Not only does it enhance agency but, as researchers found, “simply telling learners that they would later teach another student changes their mindset enough so that they engage in more effective approaches to learning than did their peers, who simply expected a test.” Using the Jigsaw method, where students are provided different sections from the same text or different elements of a broader topic and then have to present to the entire class, is a particularly good strategy for ELLs because it creates an easy way teachers can differentiate (for example, an easier portion of the text can go to a student with lower-level English skills). Providing students choice whenever possible increases agency, engagement and motivation. These could be “procedural” choices like where to sit or with whom students want to work in small groups. “Cognitive” choices are another option, which might be choosing which topics to explore in a project-based learning assignment or developing their own ideas for homework assignments. Both are good strategies, though researchers have found the latter to be more effective in promoting longer-lasting student autonomy and agency. Enhanced discovery learning, such as the inductive method mentioned earlier and used often later in this book, promotes agency by having students construct more of their own understanding instead of giving it to them. A meta-analysis favorably reviewed by Robert Marzano found that a guided and scaffolded discovery process—which may very well include some direct instruction—is superior to lessons primarily relying on either direct instruction or “unassisted discovery” (in other words, lessons with little or no teacher guidance). This kind of constructivist instructional strategy has been repeatedly found effective for non-ELL and ELL students alike. Teaching students about their brains and how learning a second language helps it grow can reinforce agency. Helping students see that the effort of their learning results in actual growth of their brain is another way for students to see that they do have control of their lives. This strategy builds on the work of Carol Dweck and is described extensively in Larry’s book, Helping Students Motivate Themselves. We typically teach this lesson at the beginning of the year, and periodically reinforce its points in the subsequent months. Students still talk about it when the school year ends. 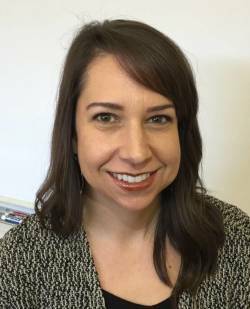 Katie Hull-Sypnieski has been teaching English and ELL/ESL in the Sacramento City Unified School District for the last 15 years. 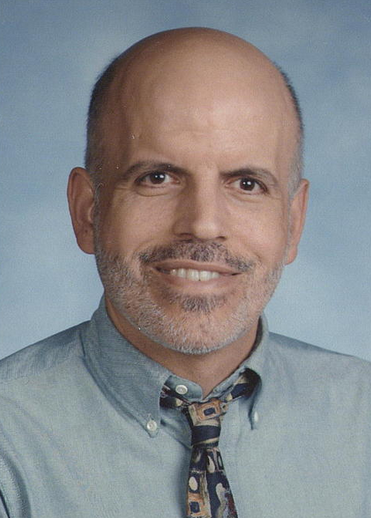 Larry Ferlazzo is an award-winning teacher at Luther Burbank High School in Sacramento, California. He writes a popular education blog and a teacher advice column for Education Week Teacher. You can follow him on Twitter at @Larryferlazzo.